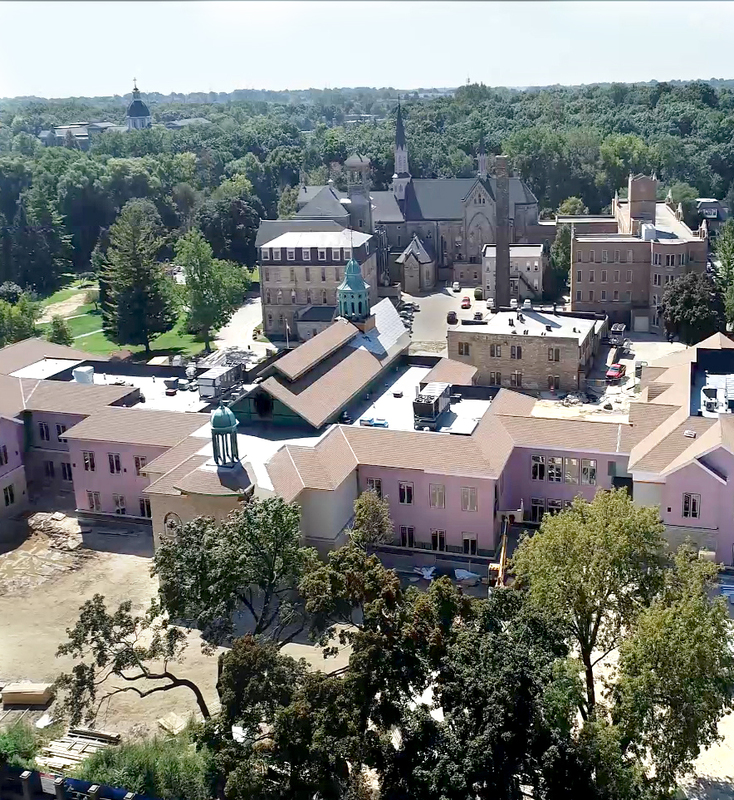 A new drone clip shows the progress of the convent construction for the Sisters of St. Francis of Assisi. In addition to footage of all segments of the new building, it shows that the cupolas from St. Mary’s Academy/Marian Center are now in place over the main entrance and the alcove where the St. Francis relief will be located. The full clip is available at the bottom of the homepage at spiritofstfrancis.org.